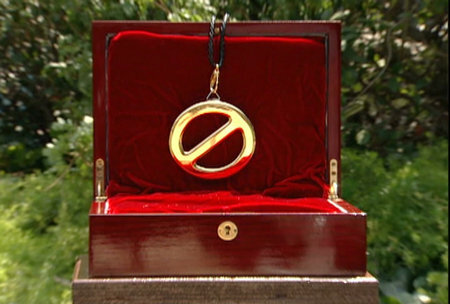 The Power of Veto is huge today on Big Brother 2014, as the winner will help determine where the official target falls for Week 6 on Big Brother 16. Zach might need a victory today in order to stay in the game, but with a Double Eviction on Thursday night he could be in trouble still. We’ll wait to see a winner tonight and then the Veto Meeting on Monday, but let’s hope that Frankie is not drawn and this could be real good! Check out the players below in our Big Brother 2014 spoilers! What does this mean? Plan is hinting at Zach going home or maybe a backdoor of Frankie, so it is a possibility now. The winner will be huge and what they decide to do with it! We’ll keep you posted as soon as the Veto Competition happens, which should be later today! I was hoping Hayden or Donny would be included to play. But since they aren’t, i hope Nicole wins it. Then she will be the master of her own fate. Lets see if she can back up all the big talk she has been throwing around. WANTING to get rid of a hg doesn’t mean a thing unless you follow through. Especially if it’s within your power to put them on the block and make them sing for their supper. You do not need hair for that part? he did some bull riding and landed on his head too many times. Will the veto competition be after Victoria and Caleb are separated? They will be separated so they can play. Then immediately be attached again afterwards. I was hoping they would put up all four guys! Darn it! That would have sealed the deal, because one of them would have been evicted for sure. Now, they’ll have whoever remains coming after them. Even if Caleb goes home, if one of the remaining guys wins power again next week, the tables will turn on Donny and Hayden, and they will be going on the block for sure next week for this stunt. I say Hayden, because they all know that he’s the bee buzzing in Nicole’s ear. This is not good! I am very concerned for Donny and Hayden’s saftey next week. I know Mary! Isn’t that a frightful thought! I am hoping for the best. They cannot allow those beasts win! Donny and Hayden have been so nice and reliable.I must say, they have more backbone than I gave them credit for in the past. I’ve changed my mind about Donny being too nice and easy to win. He sure has proven me wrong! I’d settle for those 2. BTW: Still love that hat! Hello mrk! Yes, we must stay positive! And, thanks! Derrick is giving Cody a thorough dusting. And Donny is in real trouble if they get in power. Ohhh no!!! Dag nab it! They’re actually thinking about keeping Frankie (Derrick and Cody). Which doesn’t surprise me at all because just as i said this morning….they change their minds more than their clothes. Derrick is getting a bit paranoid about evicting an alliance member. He’s over thinking things. I knew it! Darn it! We can only hope they do not regain the power. This is a pickle he’s got himself into, with no way out unless someone other than those boys win HOH. And even then they will threaten whoever wins to get Donny out. Dang! What worries me most is the DE coming up this week. I’m not sure if Frankie will go. Derricks paranoia may prevent him from seeing the big picture unless he gets it under control. And since Derrick has a life time supply of “dust”, he might convince others that Frankie needs to stay. That would be awful Cat! I’d like to see Frankie go now too. He is way over the top. is being more and more discussed by several others. fear we may all be crying soon. THANK GOD!!! Nicole has FINALLY figured out Christines game. I wouldn’t be surprised if we see Christine on the block….SOON! Now that is very good news! She is sooooo onto Christine. I’m loving it. I think the veto comp has started. I would love to see her on the block or better yet, bye bye and out the door. Jan jan did you kidnap the hgs and feed them Kool-Aid? Sighs…poor Jeff..I still like him. But I know you don’t. But compared to these house guests, he is a prince. Who told you? Do you a GPS tracker on me? When has there ever been a Veto comp that lasted over FOUR hours?!? And why are four people NOT watching the comp?? I’m confused…. This is RIDICULOUS, BB! Put BBAD back on. Four hours of nothing is enough. The fish now is just a low blow!! If they are smart they will convince her to use it telling her it is to put Caleb up then instead backdoor Frankie.